Which band will come out on top? 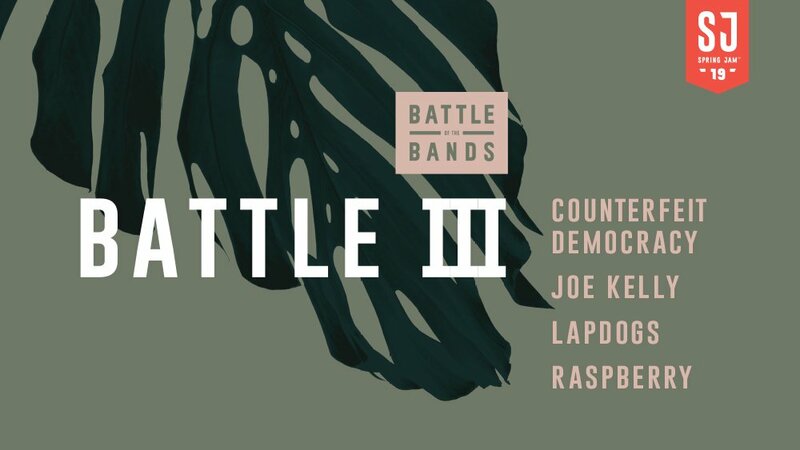 Join us for the first round of Battle of the Bands and watch Counterfeit Democracy, Joe Kelly, Lapdogs and Raspberry compete to advance to the Final Battle for the chance to perform at Spring Jam™ 2019! University of Minnesota-Twin Cities student U Card or valid government issued ID required for entry. Attendees under the age of 18 must have a parent or guardian in attendance.